St. Paul, Minn. — For every pound of people on Earth, there are 300 pounds of bugs. 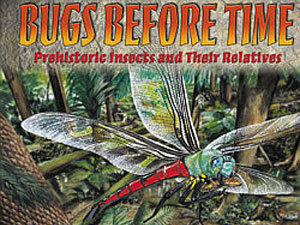 That interesting fact and others are included in Minnesota author Cathy Camper's new book, "Bugs Before Time." Her picture book introduces young readers to a variety of insects that lived during prehistoric times, including ancient scorpions that wouldn't fit in your bathtub, and millipedes that grew to more than six feet long. Cathy Camper is a librarian at the Minneapolis Central Library downtown. She spoke to Minnesota Public Radio's Greta Cunningham about her new book. To listen to the interview, click the audio link in the right column.